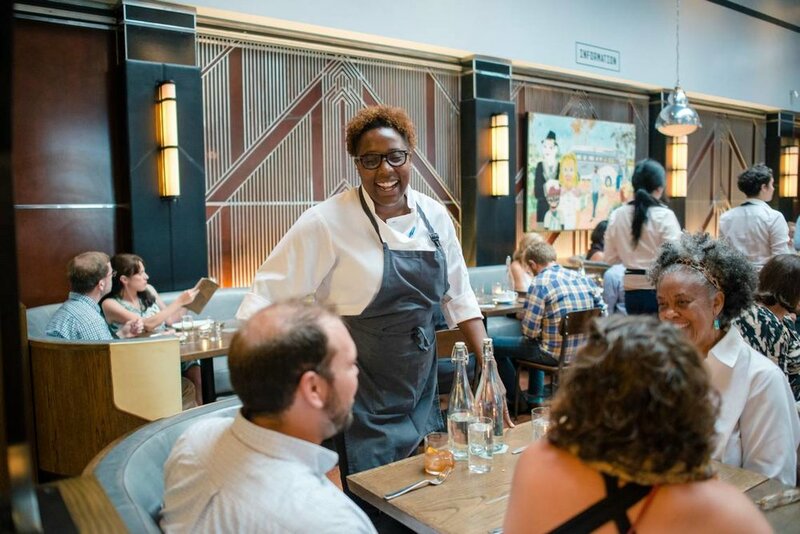 Today's Women Crush Wednesday is renowned Chef Mashama Bailey. I have known Mashama for about 17 years now since she is one of my sister in law's BFFS. And known how much of a bomb chef and baker she is! Although born in the Bronx and raised in Queens, Bailey is a southern girl at heart attending elementary school in Savannah and spent childhood summers with her grandmother in Waynesboro. Mashama spent four years at Prune in New York City’s East Village, owned by award-winning chef and writer Gabrielle Hamilton, before taking the helm at one of the most talked-about new restaurants in the country, The Grey, in Savannah, Georgia (woot-woot!). She is now one of the four chefs featured in season 6 of Chef's Table. 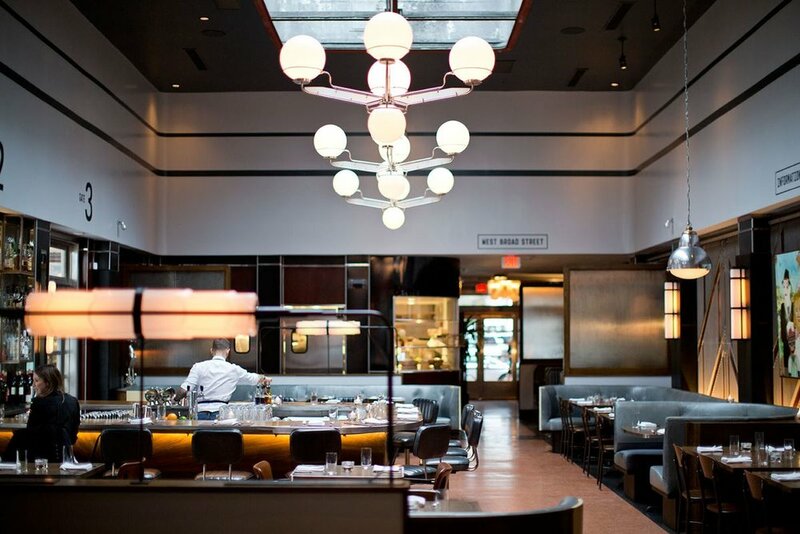 The restaurant sits in a renovated Greyhound station (hence the name, clever!). In Mashama's episode of Chef's Table, the view learns that there's a colored waiting room in the back of the venue. "I was soaking in all that heritage and all that knowledge," Bailey says. "And there's a sadness that comes with that, but it's also this great sense of pride. You look at the beauty of survival — you realize how resilient your culture is." 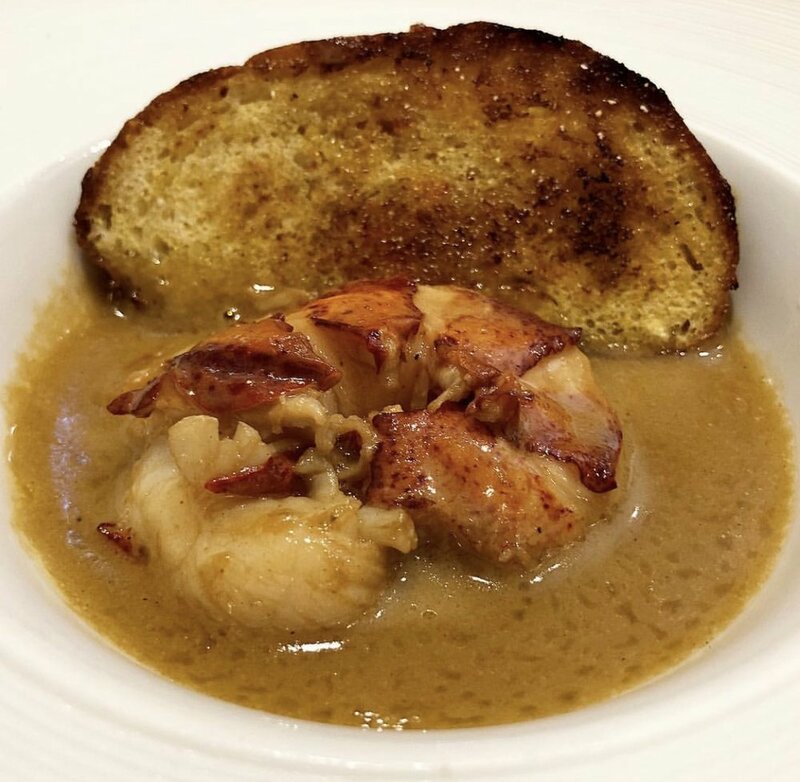 And Bailey's craft has evolved after reading Edna Lewis's books such as In Pursuit of Flavor, per Mashama began adding more African-inspired food to The Grey menu. 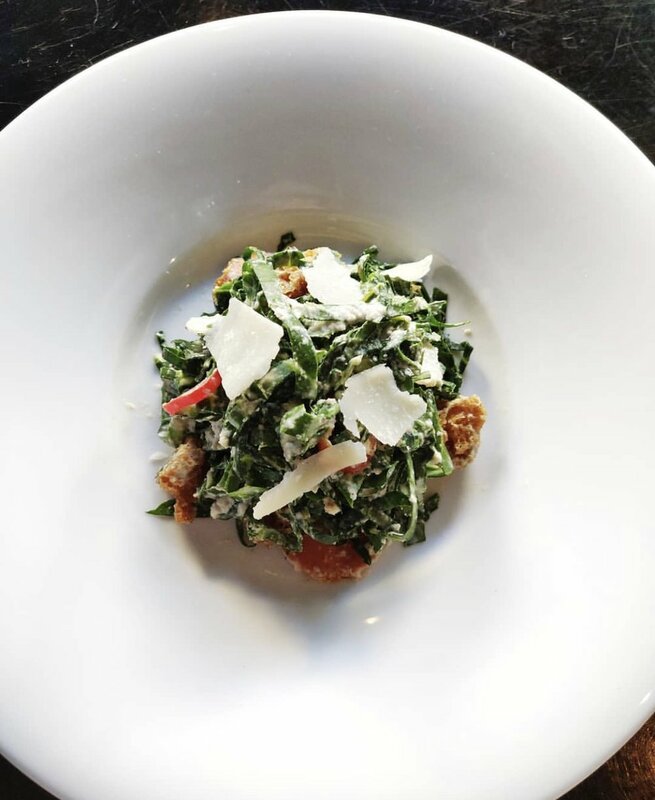 The Grey has earned a number of accolades, including being named in Time Magazine’s “World’s 100 Greatest Places”! And Mashama is a finalist for this year’s James Beard Award for best chef (second year in a row!). In 2018, she was the first African American woman to be nominated for best chef in the 27-year history of the awards. When interviewed recently on The Dish, Mashama said her Grandma, who taught her so much, would have been proud. O.C.O: How did you know you wanted to pursue cooking as a career? O.C.O: The person you would most like to cook for? And Why? M.B: Maya Angelou because I admire the way she lived her life and I would so many questions for her about love and passion. O.C.O: Cooking is a legendarily brutal job. Is it possible to keep a balance in your life? M.B: Yes, but my balance is very different from everyone else’s. I hang out late and wake up early to see friends and loved ones. My weekends start on a Sunday instead of a Friday. O.C.O: Any advice for women trying to break into a male-dominated field? M.B: You see a lot of women in culinary school but not a lot of cooking in restaurants. I think that is because of a break down in our support systems. 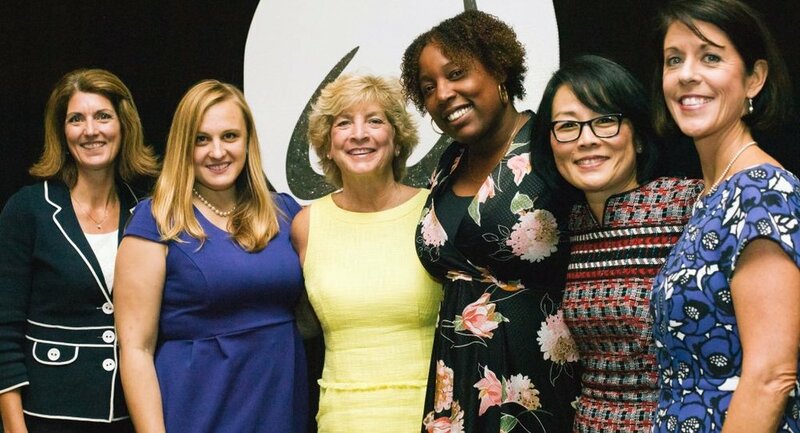 One of the most important things that we can do for women as women is to support one another. We need to make the most scarifies when it comes to our professions no matter which industry we are in. For me support is the key to success. O.C.O: What makes your relationship with your business partner JOHN O. MORISANO work? O.C.O: What was the initial feedback from your appearance in Chef's Table this season? O.C.O: Favorite part of living in Savannah? O.C.O: What do you miss the most from NYC? O.C.O: Anything else you want us to know? M.B: Cooking is hard work but if you love it you will never work a day in your life! If you are visiting Savannah soon stop by The Grey! Chef's Table is streaming on Netflix, the series is inspiring, Mashama's was a bit of a tear jerker :) To follow her latest creations follow Mashama on Instagram. 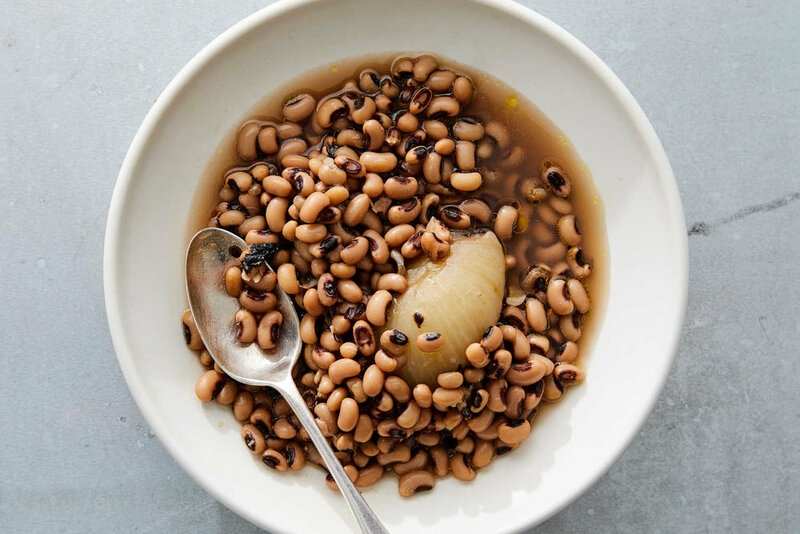 For folks inspired to test their cooking skills, I suggest you start out with Mashama's vegan version of Stewed Black-Eyed Peas! Bon appétit! Put the peas in a large bowl, add water to cover by 2 inches, and soak overnight. Blacken the onion: If you have a gas stove, turn one burner on high and place the onion halves directly on the grates next to the flame and cook, turning occasionally, until the onion is charred on all sides, about 5 minutes. Otherwise, heat the broiler and broil the onion on a baking sheet a few inches from the heat, turning occasionally, until charred, 1 to 2 minutes. Set aside to cool. When the onion is cool enough to handle, poke 2 cloves into each half, and add the onion to a large stockpot. Drain the peas, discarding the liquid, and then transfer the peas to the pot. Place the garlic, peppercorns, bay leaves and chile on a 12-inch square of cheesecloth and wrap tightly, using twine to seal the packet. Add 6 quarts water and the spice packet to the pot and bring to a boil over high heat. Skim any foam that collects on the surface, then reduce to a simmer. Stir in the olive oil and 1 tablespoon salt and cook, stirring and skimming occasionally, until the peas are fully cooked and the cooking liquid has thickened, 1 to 2 hours. Discard the spice packet, season with the remaining 1 tablespoon salt (or to taste) and the hot sauce and serve. 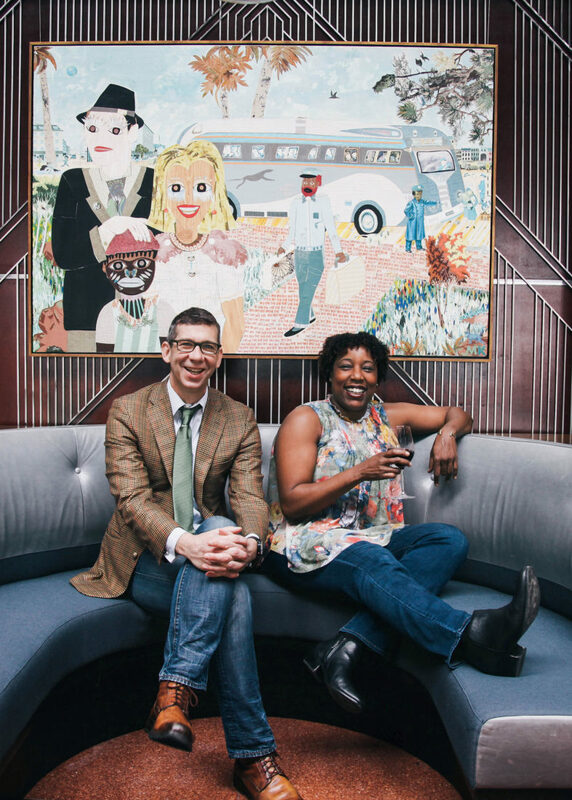 Rosa Armstrong is an accomplished interior designer whose expertise is in the field of “Do it Yourself” (DIY). Coined herself, “The Project Chick” she travels the country teaching people to take the old and tarnished and turn it into new and fabulous. She is today's Women Crush Wednesday! I knew Rosa from 7th period earth science from high school and had the pleasure of doing PR work for her for her e-store The Bombshell Bodega. I always admired her entrepreneurial spirit and sense of humor, it wasn't a surprise to me to see her drive get her a show on HGTV/DIY channel "Kids can Build”. What makes Rosa's show unique to me is that she's a city gal, most of the DIY shows are shown in the suburbs, that's refreshing for a fellow city gal! Rosa brings her Brooklyn flava collaborating in projects with her daughter Melania. O.C.O: What inspired you to start The Project Chick? When did Melania get involved? R.A: The inspiration behind the Project Chick really was just an evolution to who I’ve become in this arena. 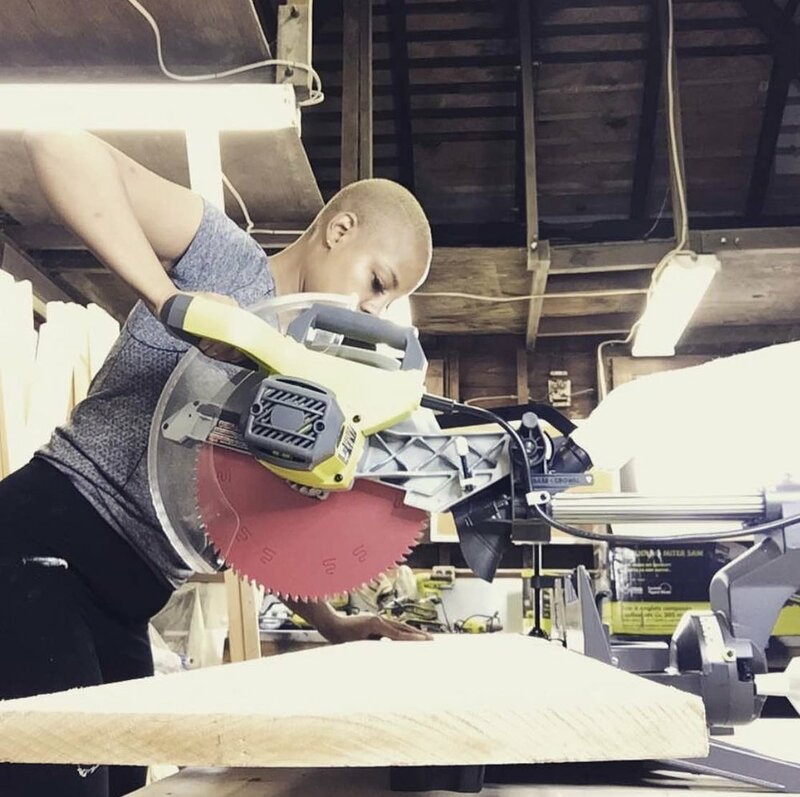 I found myself not knowing what to call myself like am I a carpenter, a upholsterer, crafter I tried so hard to peghole myself into a niche that I ultimately was like I can and do, do it all. I do projects I am a Project Chick! Melania was pretty much forced into this life I can always use a second set of hands when working and she became my unofficial apprentice. Thank goodness she enjoys building! O.C.O: Where do you do most of your work on your DIY projects? O.C.O: What was your first “big tool purchase”? R.A: My first big tool purchase was a skill saw all magnesium circular saw I did so much research on it and was afraid to use it because I heard how much power was in it and afraid I’d get hurt. But I’m still here with all 10 fingers! O.C.O: Who are your style icons? R.A: Right now my fave style icon has to be hands down Tracy Ellis Ross omg she is giving me life. She’s all about street and chic fun and stylish feminine and masculine. O.C.O: Is there a specific project that you'd consider a favorite? Follow Rosa on Facebook and Instagram for the latest DIY projects and show announcements! I always thought about the idea of going on a trip solo for a while now (my niece “When Geeks Travel, did a trip a year before) it inspired me and I decided to give it a shot in May 2018. It was a few days before my birthday, a year since graduating grad-school and I was itching to getaway. I was used to telling friends or family “I can’t go” because of a final and now I ended up with a lot of free time. A few days before leaving for NOLA, I was nervous if I made the right decision to go on a trip by myself to a city that is known for partying. I figured I can’t turn back now and either way the experience would end up on the blog, ha ha! Rather than running from attraction to attraction, I realized I am more of fly under the radar, live as I would if I lived there type of traveler. New Orleans ended up being the perfect city to break in traveling solo. The culture, music, food, and the coffee! The people in NOLA are friendly, warm, and welcoming. Special shout out to my friend Allyson and my new friend’s from NOLA Scott and Robi they really looked out for this city gal! New York Times listed New Orleans as the top place in the world to visit for 2018. With this year being the 300th anniversary of the city, there couldn’t be a more perfect time to check out. I’m glad I did! Check it out! Street Cars – The city still operates very old-school trams. Of course I got lost in one of them being Uber spoiled! Not only do they look cool but they also take you almost anywhere a tourist would want to go! At $3 for an unlimited day ticket or $1.25 single ride they are by far the cheapest (albeit a little slower) way to get around town. Cemetary Tours-Due to much of the city being below sea level, burying the deceased above the ground is common practice, making the city’s cemeteries a popular tourist attraction.. St. Louis Cemetery #1, was one of my first stops in NOLA. It is where the famous Voodoo queen, Marie Laveau, is believed to be buried. Book your tour though the nonprofit Save Our Cemeteries to help support their preservation. 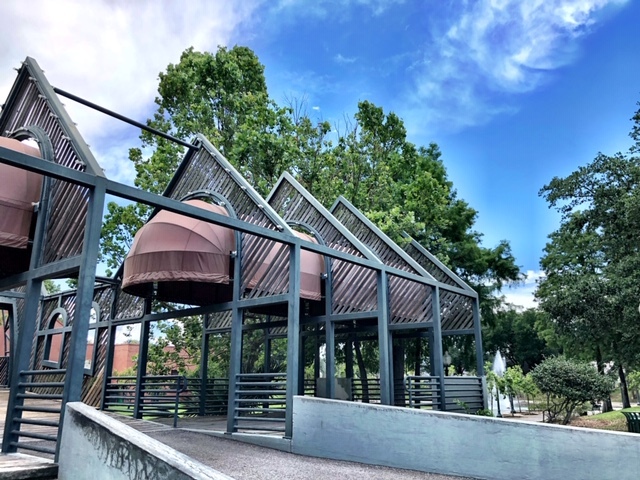 City Park – The largest in-city park in the US, (an easy uber or streetcar away) is also home to a fabulous art museum (mix of contemporary art and antiques with a great mix of well known artists) a pretty good botanical garden and a nearby sculpture park. 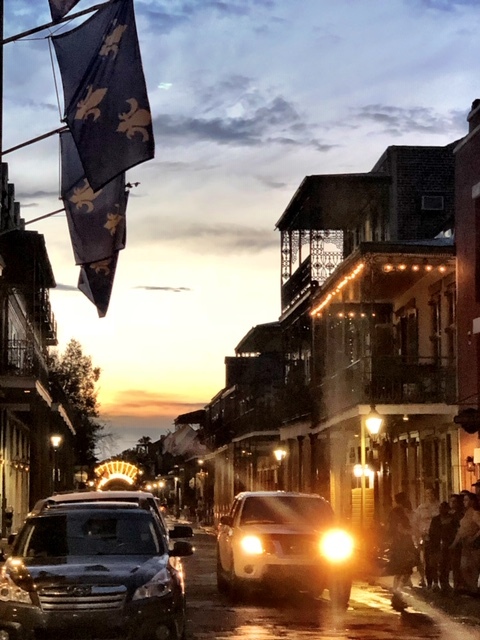 French Quarter- Besides Bourbon Street (check out Acme for the Chargrill Oysters btw), there are more activities to do in the French Quarter. Walk around (with a to-go cup from Pat O’Brien’s) and take in the beautiful Spanish and French Architecture. You’ll run into beautiful Jackson Square where you can have a peek into St. Louis Cathedral (oldest cathedral in the U.S.), watch cute old people dance, and most importantly make a beignets stop at the very famous 24-hour open Café Du Monde for your Beignet fix and frozen coffee. This combo was amaze I ended up here a few times during my 4 day trip. First time having Bourbon Punch too, Bourbon House specializes in that! 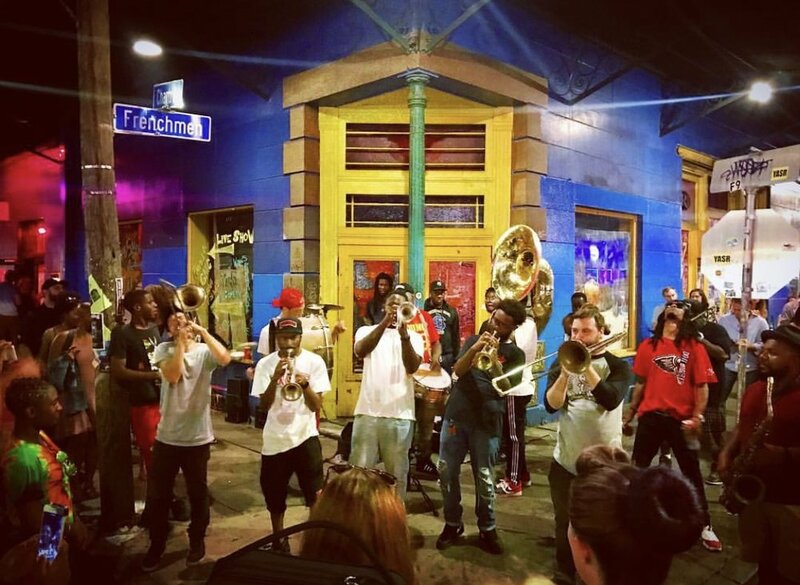 Frenchmen Street-Walk down the street, listen to the open venues, and grab a seat and listen to music, swaying back and forth in your own world. The Spotted Cat was my favorite! Then check out the market! 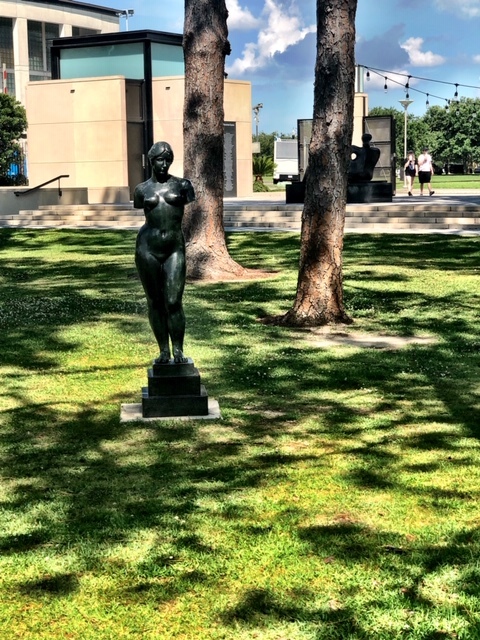 New Orleans Museum of Art (NOMA): they have a mix of contemporary art. When I went to NOMA in May, I spent a good half the morning there with my lovely friend Allyson. The Alexander McQueen exhibit was EPIC! 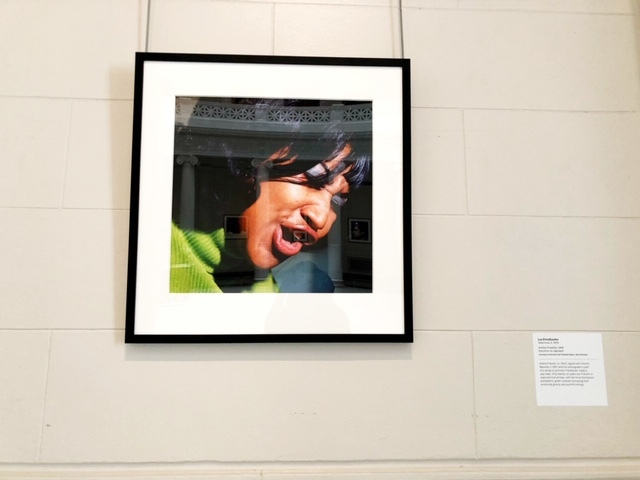 “A Queen Within: Adorned Archetypes” The exhibit showcased rare pieces from one of the world’s largest private collections from the designer. After NOMA stroll over to Morning Call-I kid you not they have the best Cafe Au Lait! Walking tour of The Treme: The Treme' (pronounced Tre-May) sits adjacent to the French Quarter and is the oldest African-American neighborhood in the United States. Treme' was originally settled by Free People of Color; often referred to as Creoles, whose unique experience helped shape the civil rights movement. It is the hallmark of African-American history not to be missed. Today, Treme' is home to artists, musicians, and craftsmen and is a living, breathing, joyful piece of New Orleans history. The tour I went on, had a great balance of historical info and personal anecdotes from our local tour guide Robi, who is a resident of Treme’. Robi was deeply knowledgeable (and passionate about) his community and it shined through in his analysis of cultural politics in the neighborhood. Louis Armstrong Park: As soon as you set foot in the park, you have engulfed yourself in African American history that dates back to the 18th century. From Congo Square to the Mahalia Jackson Theater, every inch of the park’s grounds contain history that has become a vital part of New Orleans’ culture. The park’s history involves slave culture, music, dance and entertainers that have all made an impact on the Treme area. Magazine St. – I spent time on Magazine Street the final day before heading to the airport. I couldn’t get enough of looking at the Southern Style porches! 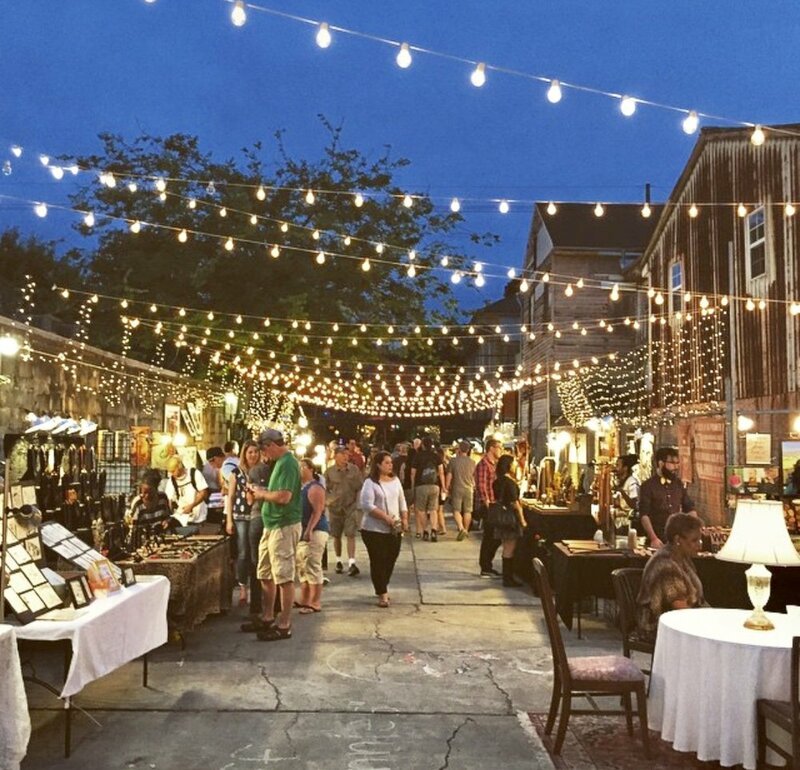 This is a long stretch of street in the lower garden district with cute bars, antique shops, vintage stores and interior shops with stretches of residential colonial style houses in between. 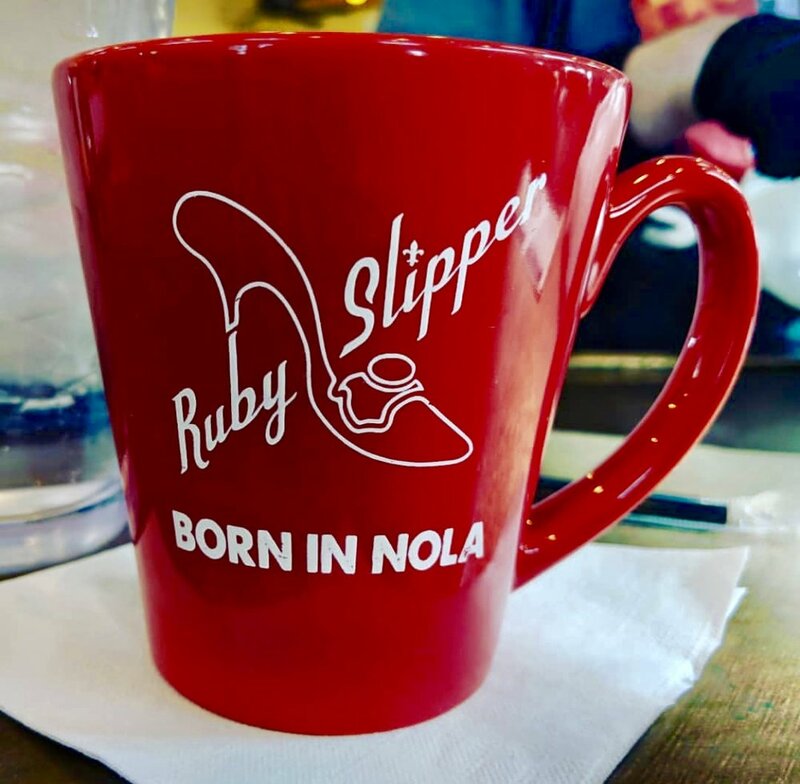 My last meal was at the Ruby Slipper, ahh it was amaze never had biscuits so fluffy and sweet. Thanks for the recommendation Scott! I am grateful for NOLA being my first solo traveler experience. I embraced my identity in a way I didn’t think was possible and eagerly submersed myself in the culture, meeting new people, and discovering things about myself. I am stoked to plan more solo trips for 2019 and beyond!